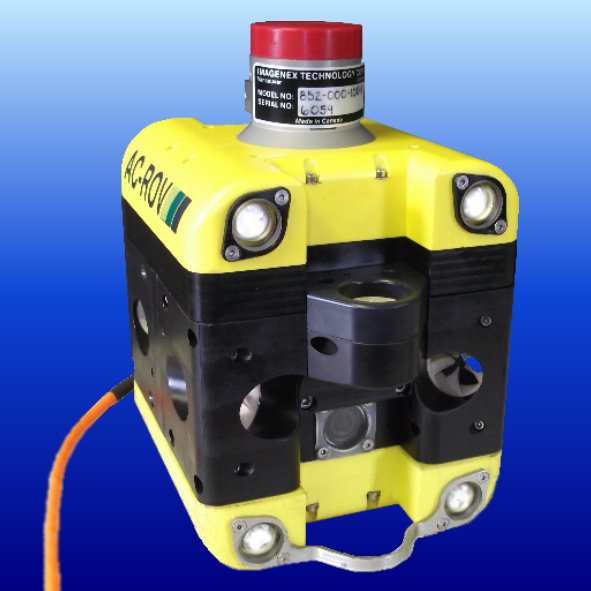 The market leading AC-ROV Underwater Inspection System is available with an Ultra Short Base Line (USBL) positioning and tracking system. During ROV operations, there are many situations where you need to know the location of the vehicle with reference to you as the operator, or its global position. Underwater positioning and tracking is fundamental to high level survey and search applications, allowing you to log where you need to go, where you have been and to enable target returns by you or others. 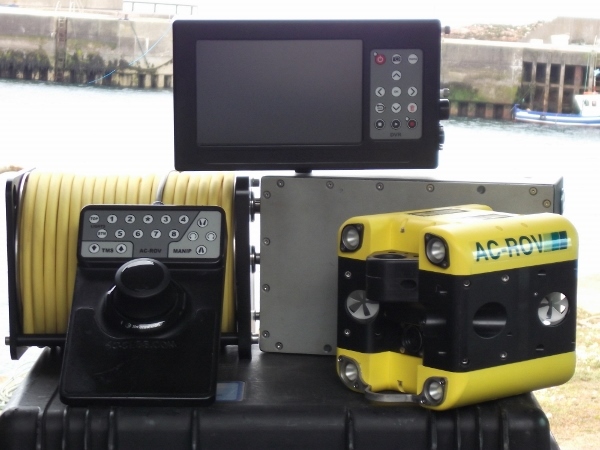 The market leading AC-ROV Underwater Inspection System is available with a Thickness Gauge for measuring metal thickness and integrity in locations previously inaccessible to divers, other ROVs and underwater inspection systems. 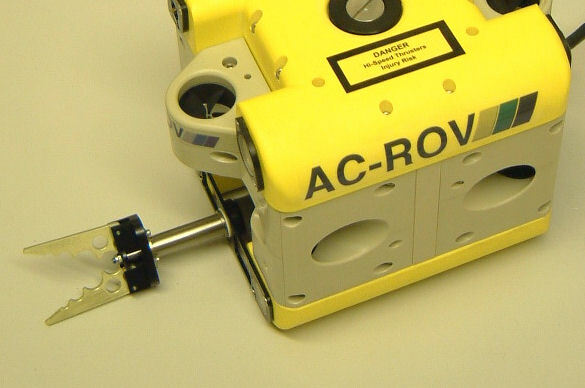 The market leading mobility of the AC-ROV enables complete "ORBITAL"thickness measurement. A capability never before available by ROV without a manipulator. 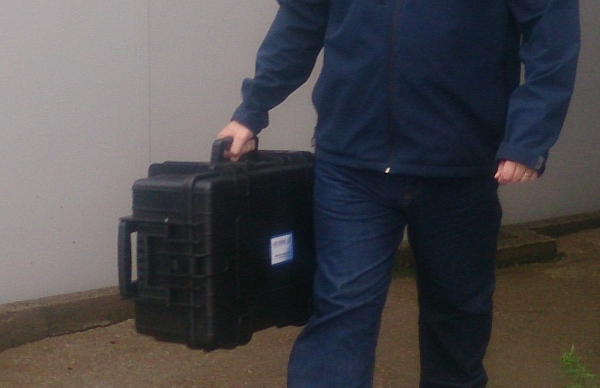 The first truly comprehensive small ROV thickness inspection capability. 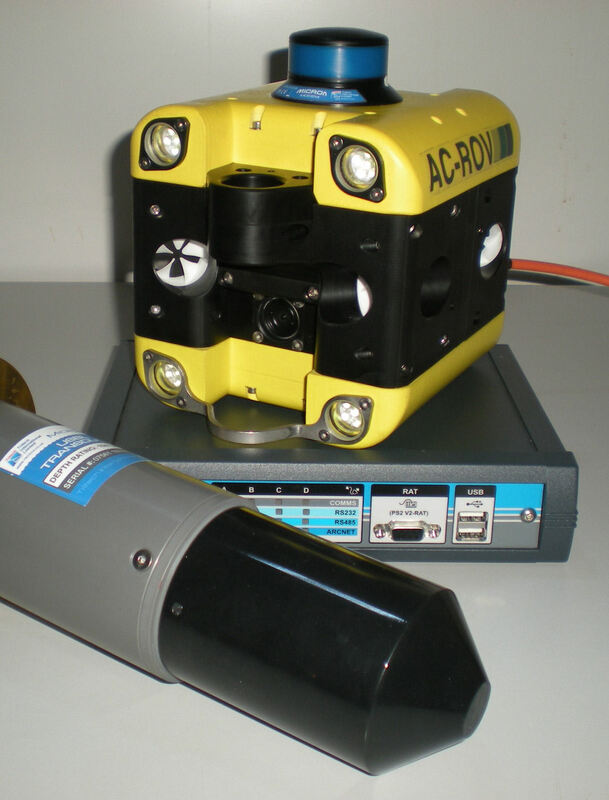 The market leading AC-ROV Underwater Inspection System is available with a Laser Scaling head for the relative measurement of surface defects, anomalies or anything within its view. 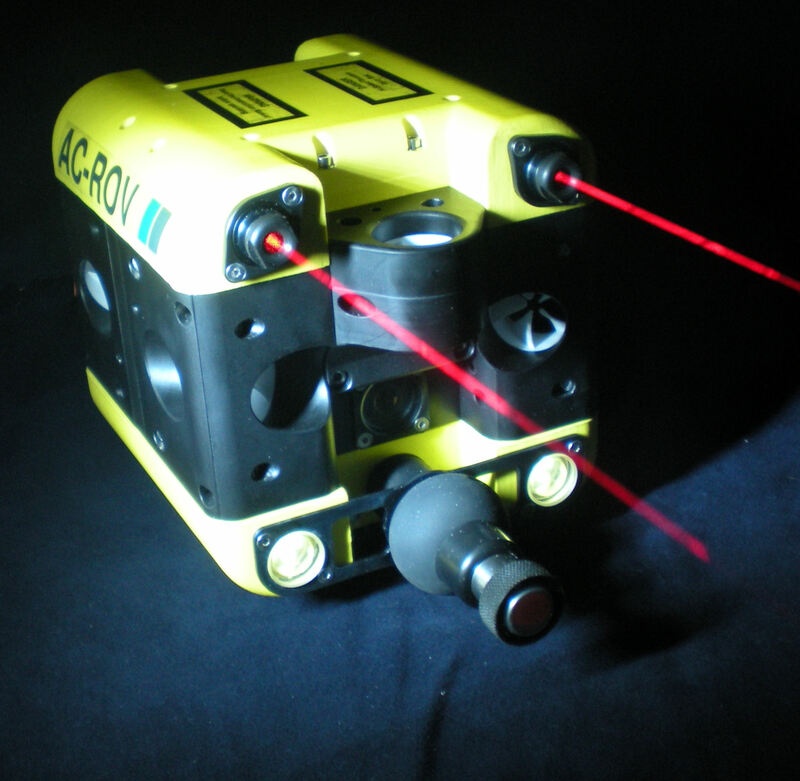 In a market first, the AC-ROV Laser Scaling system utilises variable intensity lasers so beam strength can be adjusted according to the conditions without compromising video quality. 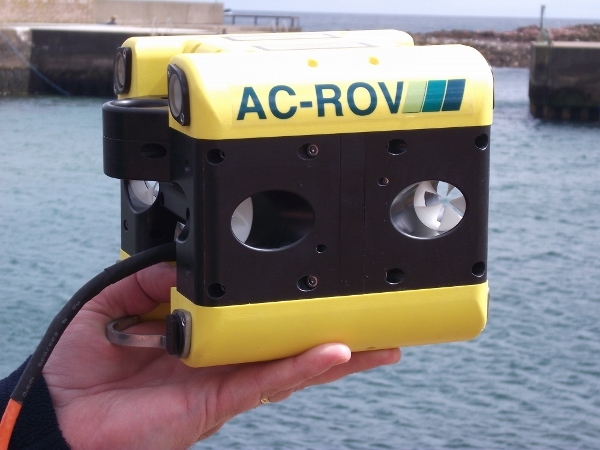 The AC-ROV Underwater Inspection System was the first and is still the only ROV to have an inherent “STICK-ON” capability, proven to be of huge benefit for parking at a target and for fast surface skimming inspection work. 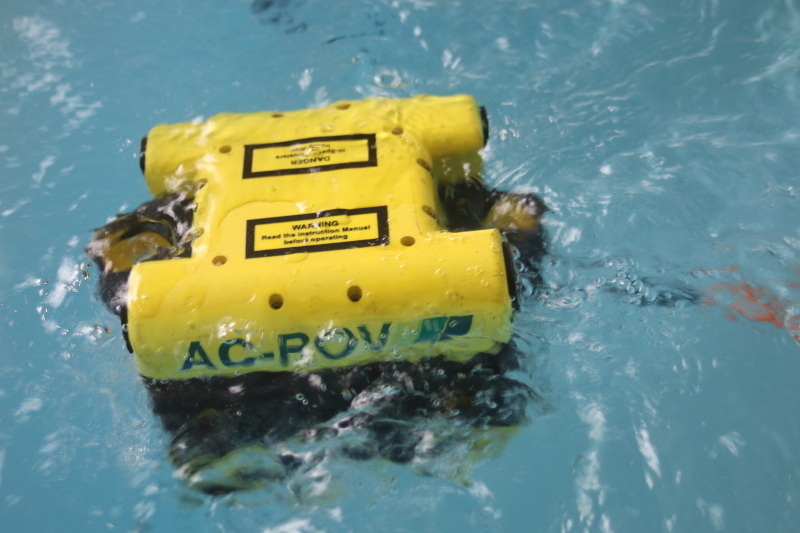 To further enhance the AC-ROV’s ability to inspect large surfaces quickly, AC-CESS offer a roller kit that quickly converts the AC-ROV into a four wheeled vehicle that can roll over and alternate between surfaces in different planes. Mount the rollers to the side, top or underside of the AC-ROV to reduce inspection time of internal pipes, tanks and hulls. The market leading AC-ROV Underwater Inspection System is available with a grip and continuous rotation manipulator. Available with 2 or 3 jaws, the manipulator is ideal for recovering small objects. For larger objects deploy the manipulator to 'snaring' the target with a hook and line, then recover the object manually or mechanically. The market leading AC-ROV Underwater Inspection System is now available with Ultra Miniature Scanning Sonar. There may be times when visibility is poor making the locating and inspection of targets in the water a more difficult task. Fitting sonar to the AC-ROV as an option overcomes the poor visibility problem and is an aid to navigation.